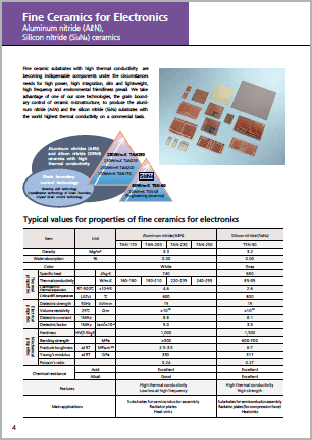 Toshiba Materials' silicon nitride ceramic substrates are among the best in the world for heat dissipation and strength. 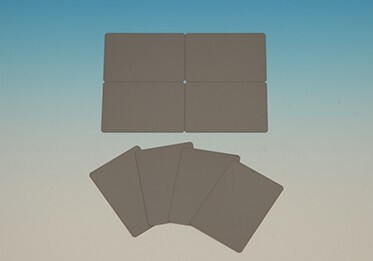 They are used in electronics fields such as power semiconductor modules, inverters and converters, replacing other insulating materials to increase production output and reduce size and weight. Their extremely high strength also makes them a key material that increases the life and reliability of the products they are used in. *The value of a table is not a guaranteed performance. 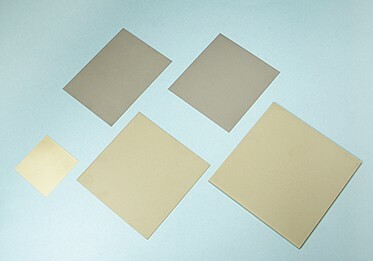 Our aluminum nitride ceramic substrates are among the world's best for heat dissipation. Our insulating heat dissipation substrates have thermal conductivities ranging from 160 to a maximum of 255W/(m K), making them ideal for areas requiring high heat dissipation or those requiring a somewhat thick substrate that can withstand high voltages. 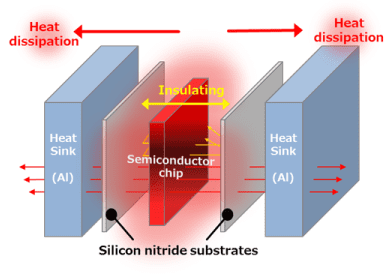 They are also ideal for use as semiconductor substrates as they have a similar thermal expansion rate to silicon, silicon carbide, gallium nitride and gallium arsenide chips.